Tooele’s Mercy DeRyke makes a play during the Class 4A state softball tournament in Spanish Fork in May. DeRyke has signed a national Letter-of-Intent to play softball at Colorado Northwestern Community College in Rangely, Colorado. Tooele’s Mercy DeRyke waits for a pitch during a March 2018 game against Grantsville. 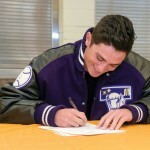 DeRyke will attend Colorado Northwestern Community College in Rangely, Colorado, this fall. 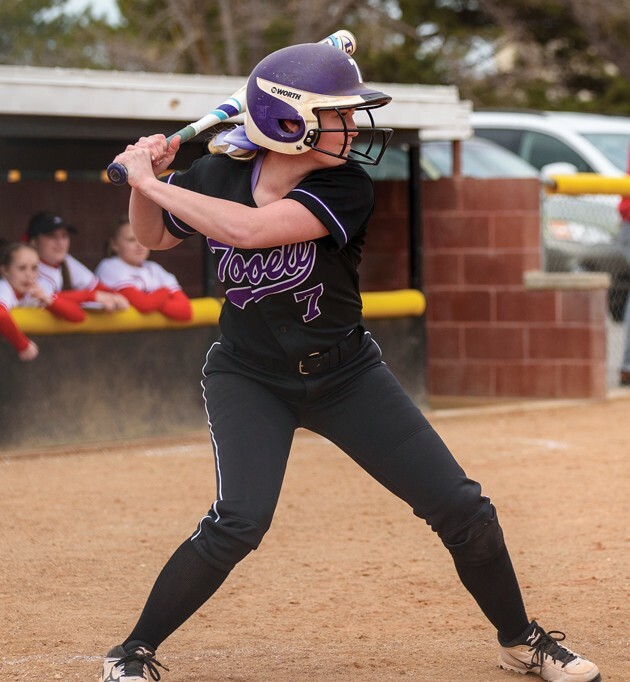 Former Tooele softball player Mercy DeRyke had to work her way up the ladder to earn a spot on the Buffaloes’ varsity roster as a junior, showing immense growth as a player along the way. Earlier this year, that hard work paid off for the Buffs’ starting second baseman, as she signed a national Letter-of-Intent to play at Colorado Northwestern Community College in Rangely, Colorado. DeRyke saw some varsity playing time as a sophomore, making 26 plate appearances in 22 games. Her junior year, she earned a starting spot and hit .279 with five doubles, two home runs and 20 RBIs. Her batting average dipped to .212 as a senior, but her steady play at second base helped anchor the right side of the Buffs’ infield. She committed just two errors during the season, and drew the interest of Colorado Northwestern coach Ken DeCook. DeRyke is one of four players from her graduating class who will go on to play college softball, joining fellow THS graduates Payton Hammond (Utah Valley University), Blake Hervat (Snow College) and Sydney Turnbow (Otero Junior College). She said having those kinds of teammates made everyone better. “As teammates, they really helped you step up your game and helped you be the best for the team,” DeRyke said. The pressure that comes with playing at Tooele High also helped her grow as a player. 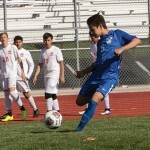 DeRyke is one of 14 signees who will join the CNCC program — and one of three from Utah, joining Brianna Fryer (American Fork) and Jayla Weston (Emery). 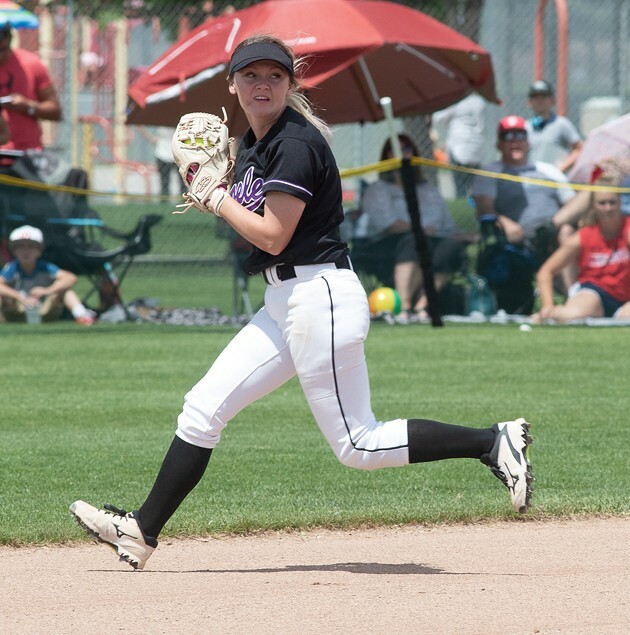 Only four players from the Spartans’ 2018 roster will return next season, giving DeRyke the opportunity to grab the second-base position she held for Tooele the past two seasons. 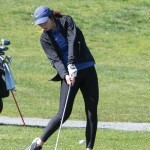 Her goal is to get as much playing time as she can while also focusing on doing the best she can academically, she said.